When you're in the makeup business, you often have to remove traces of makeup on a client's face before an application. Many eye makeup removers are oily, which can help nourish the eyes, but hinders the ability to instantly reapply makeup. 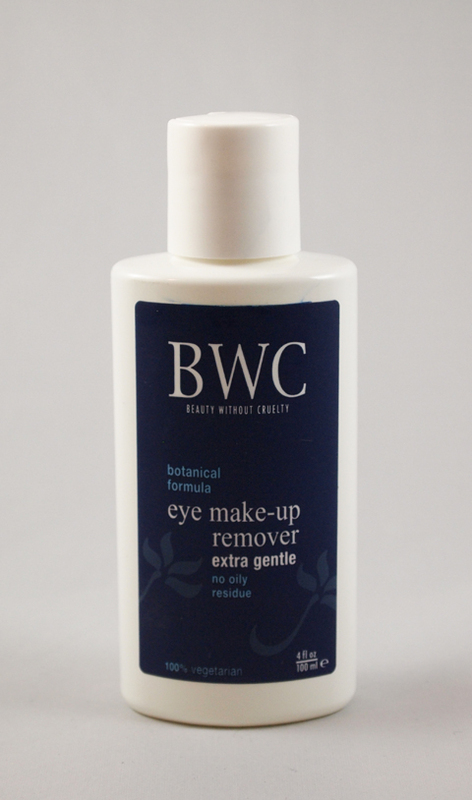 Beauty Without Cruelty offers an alternative, with their Extra Gentle Eye Make-up Remover, which allows makeup to be reapplied immediately after use. This simple makeup remover has a light liquid texture that is best applied using a cotton pad or other applicator. If you plan to go the disposable route, I highly recommend organic cotton pads. This remover is very gentle and didn't irritate my eyes at all. I also love how affordable it is, and how I can find it locally. The formula rates a low 2 on EWG's Skin Deep database. If you're looking for a makeup remover that is both gentle and affordable, this is a great option.